Web design is less creative than you may believe, it is actually more like a science. There is a reason that so many websites follow a similar formula when it comes to placement such as menus, look books and contact links. Users have learnt to use the web in a certain way and if you divert too much from this formula then the usability of a site will decrease. Here are some of the core basics which a web design expert will instinctively be able to pin point whilst assessing or redesigning a store. You can make an effective (but extremely boring ecommerce store) without using PhotoShop. However in this competitive market, where ecommerce stores are heavily judged upon looks, you must invest in an web design expert who has a great feel for using PhotoShop. Professional looking sites always have custom graphics such as logos, banners and product photography that has been enhanced by an web design expert. It gives the store a very custom, slick and well put-together appearance that can only be achieved by using photo editing software. A good web designer should know their clone stamp from their liquify tool and everything in-between. Make sure you take a close look at the portfolio of the web design expert to see their previous projects and assess how well-designed you think they are. If you would like to look at the Shopify Builder portfolio you can here. Images and words are of equal importance when it comes to building effective branding. A customer should be able to look at your front page and understand who your brand is, what you are offering and why you are the best option. Although you can write your own copy on your “about us” page, some of this information will need to be integrated with images and design too. Words are vital for usability. Designers usually refer to these as “call to actions.” Whenever you visit a website you are being subconsciously directed on where to go (or where to click.) Although icons can work in some cases, words are more effective in general. They have been proven to keep visitors on the site longer and clicking in the right places! A web designer is normally the first person that a client will liaise with to discuss the project. Therefore they need to be a fantastic communicator and listener. A web design expert will have to establish exactly what the client wants from the website. This includes superficial design and branding, to the deepest and most complex functionality. This can be challenging, especially if the site owner is not very tech-savvy (well, that is why they are paying an expert!) or is confused about their final vision of the store. A great ecommerce store is designed to hit certain goals for the client. It must set out the brand identity, advertise the most poignant products and convert customers. 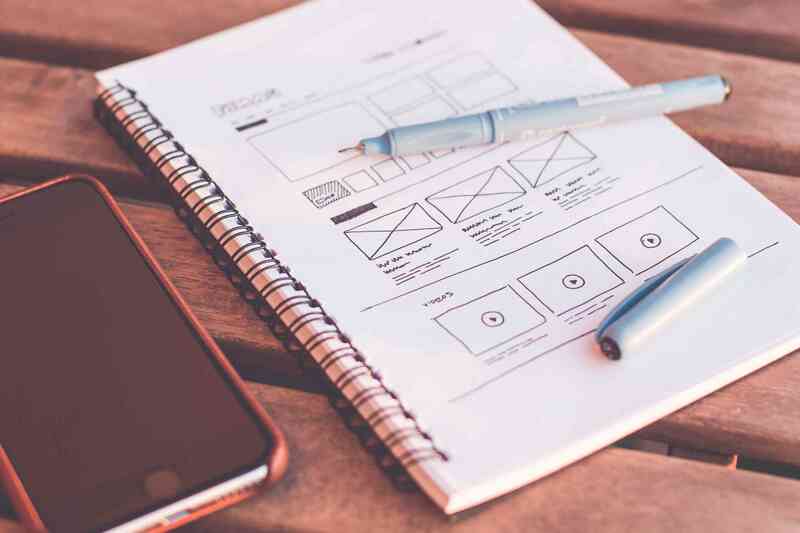 If the web designer does not manage to get a fantastic insight into the company from a client then the website is set to fail from the get-go. An expert web designer will ask probing questions to get the most information from a client they possibly can, assess their goals and act accordingly. Even if a web designer has communicated extremely well with a client, there can be a few hiccups along the way. Sometimes a client’s vision is strong in their head but they find it hard to communicate exactly what they want. Therefore an expert web designer may find adjustments need to be made to the design of the site. Patience and problem solving are a key element that must be maintained. The relationship with the client may not be the only issue for a web design expert. Other problems such as functionality, browser issues, integration and maintenance issues are also common. An expert will have the ability to look at a problem from multiple angles at the same time and come up with a string of solutions. Take time to read new published literature on the industry. Be subscribed to blogs and feeds from their most trusted sources. Have a good network of people that are connected in the industry. Not always believe they know the answer to everything. They must be prepared to learn on the job. Although HTML and CSS is more in the realms of a web developer. A web design expert must also have a solid understanding of coding and developing. The main reason is that they must know what is, and what is not possible in terms of functionality.Â Different hosts may have different requirements. For example, some aspects of design need to be handled differently on the Shopify and Magento platforms. A web design expert will be knowledgeable across the board and be adaptable to avoid design mistakes and launch delays. Designing e commerce stores is different (and more complex) compared to informative websites. There may be important business decisions that need to be made such as payment gateways, setting up products reviews, marketing, discount codes and many more.A web design expert could be responsible in affecting the success of a client's business and therefore should have great business sense and intuitively know a customer's needs. If you are looking for a web design expert then why not contact Shopify Builder about your website or ecommerce project?